Spanish Olives: Abundant and delicious. Faraon Manzanilla olives with pits are grown in the Seville region of Spain, which is internationally recognized for the fertility and quality of its harvests. Olives have been harvested and processed in these regions for thousands of years. 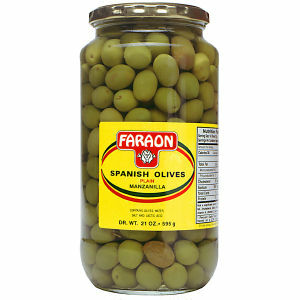 Faraon has a long tradition of packing the very finest olives available.